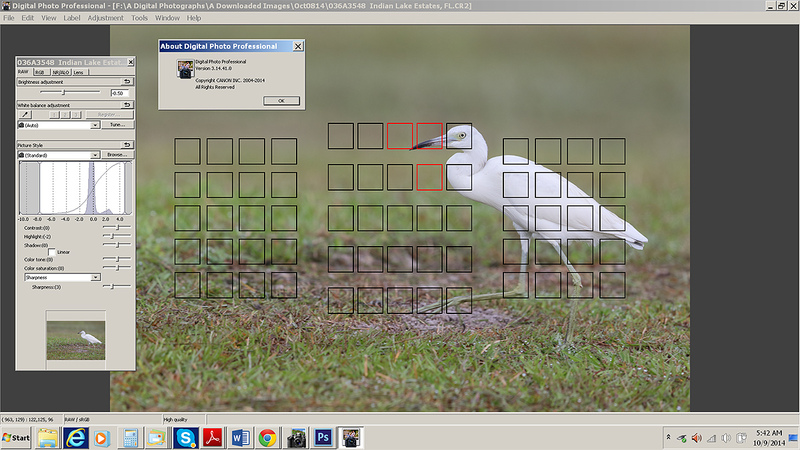 « Four New Canon EOS-7D Mark II Great Egret Images. 7D II Exposure Revelation. Handling the Too YELLOW YELLOWS. Composition and Image Design Lessons. Yesterday was a typical day of work and relaxation with a nice 1/2 mile swim. I got out yesterday afternoon with the 7D II and enjoyed some bird photography in the sun. I will share some of those images with you here soon. This blog post, the 313th in a row, took me about 2 hours to prepare. It was published just before 7:45am from my home in Indian Lake Estates, FL. To show your appreciation for my efforts here, we do ask that you use our the B&H and Amazon affiliate links on the right side of the blog for all of your purchases. Please check the availability of all photographic accessories in the BIRDS AS ART Online Store, especially Gitzo tripods, Wimberley tripod heads, and the like. We sell only what I have used, have tested, and can depend on. We will not sell you junk. We know what you need to make creating great images easy and fun. And we are always glad to answer your gear questions via e-mail. The Friday Afternoon October 10 BAA Fort DeSoto In-the-Field Workshop meet-up is now sold out. For information on the October Fort DeSoto IPT and the late registration discount please scroll down in this blog post. Join us for a day on Saturday, Sunday, or Monday for $299 including lunch and image review. Or join us for a morning on Saturday, Sunday, or Monday for $199 including lunch and image review. GALAPAGOS Photo Cruise of a Lifetime IPT/The Complete Galapagos Photographic Experience. July 14-28, 2015 on the boat. 13 FULL and two half-days of photography: $12,499. Limit 14 including the leader:/Openings: 3 or 4. If you are considering this trip it would be best to act soon as there are now only 3 or 4 slots left on this amazing Photo-Cruise IPT. Scroll down in this blog post for additional information or e-mail for the complete itinerary. This image was created on the cloudy almost-bright morning of October 8, 2014 at Indian Lake Estates with the Canon EF 600mm f/4L IS II USM lens and a beta version of the Canon EOS 7D Mark II . ISO 400. Evaluative metering +1 stop as framed: 1/320 sec. at f/5.6 in Manual mode. 65-point Automatic Selection/AI Servo/Rear Focus AF activated an array of three sensors on the bird’s face and were of course actively tracking the subject at the moment of exposure. Click here to see the latest version of the Rear Focus Tutorial. Click on the image to see a larger version. From the Sequoia with the lens supported by the BLUBB (my custom-designed, hand made Big Lens Ultimate Bean Bag). When working on a beanbag with a long lens and re-composing be absolutely sure that the focusing ring does not rest on the beanbag lest you throw off accurate focus when re-composing. Immature Little Blue Heron hunting. This JPEG represents the optimized image. With a bit more light yesterday morning it became obvious that the AF system of the 7D II is indeed superb. I was so impressed that I relied quite a bit on the 65-point Automatic Selection AF Selection Mode. Right now I am still struggling to gain full understanding of this AF Selection Mode…. I will try to get Rudy Winston on the phone today to clarify a few things for me. The 7D II offers a new way (aside from the MFn button) of toggling through the various AF Area Selection Modes: If I get down to the lake this morning, I will try to figure out how and whether or not to use the new the new AF Area Selection lever. I am hoping to get some good flight photography opportunities this coming weekend on the Fort DeSoto IPT. At ISO 400 image quality with the 7D II is on a par with 1D X and 5D III images. The image files feature natural, accurate colors. If you would like to receive a link to either one or both of the RAW files featured in today’s blog for inspection and study only, please send a Paypal to us at birdsasart@verizon.net for $5.00 each (to cover our handling costs) or give Jim or Jennifer a buzz at 863-692-0906 during weekday business hours with a credit card in hand. We will send your links (s) via Hightail. You can then download and save the RAW file. 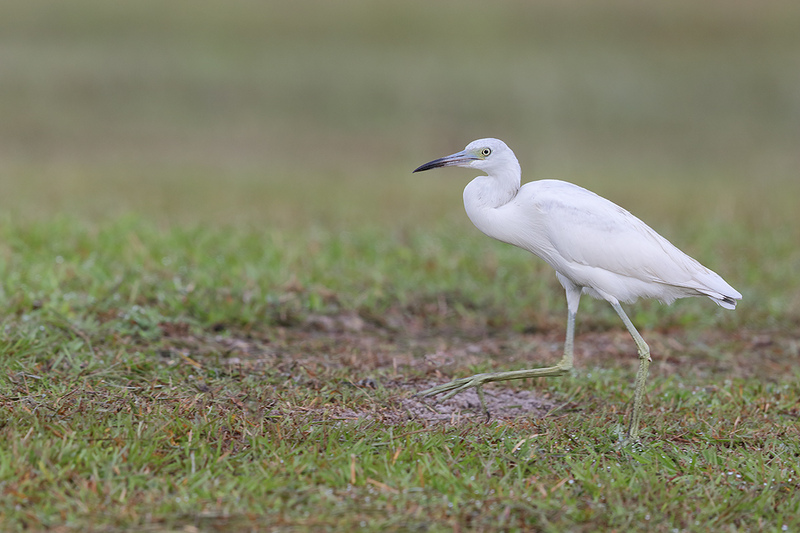 Whether by Paypal or phone, be sure to specify either “7D II Immature Little Blue Heron hunting RAW File” or “7D II Sandhill Crane striding towards the camera RAW File.” Or both. Thanks to all who ordered yesterday’s RAW file. I will be offering additional RAW files in the coming days and weeks. Please note that all rights remain with Arthur Morris/BIRDS AS ART. This is a DPP 3.41.14.0 screen capture. The screen capture above shows how effectively 65-point Automatic Selection performed for me yesterday morning. The latest version of DPP is V3.14.41; it will support 7D Mark II files. It is currently available for download here. Click on Drivers and Software and then on Software. Then click directly on the Digital Photo Professional 3.14.41 Updater for Windows (or Mac), check the Disclaimer box, and then click on the Download arrow. When the file is downloaded double-click on it and follow the prompts. I just finished updating :). Note: if you do not already have a previous version of DPP 3.whatever installed you will need to download the entire software suite to install DPP 3.14.41 from scratch. This image was also created on the cloudy almost-bright morning of October 8, 2014 at Indian Lake Estates with the Canon EF 600mm f/4L IS II USM lens, the Canon Extender EF 1.4X III, and a beta version of the Canon EOS 7D Mark II . ISO 400. Evaluative metering +1 1/3 stops as framed: 1/250 sec. at f/5.6 in Manual mode. 65-point Automatic Selection/AI Servo/Rear Focus AF activated an array of three sensors just to the left of the bird’s neck; they were actively tracking the subject at the moment of exposure. Though the automatically selected AF points were not quite ideal–the resulting image was more than sharp enough even at the wide open aperture. Click here to see the latest version of the Rear Focus Tutorial. Click on the image to see a larger version. 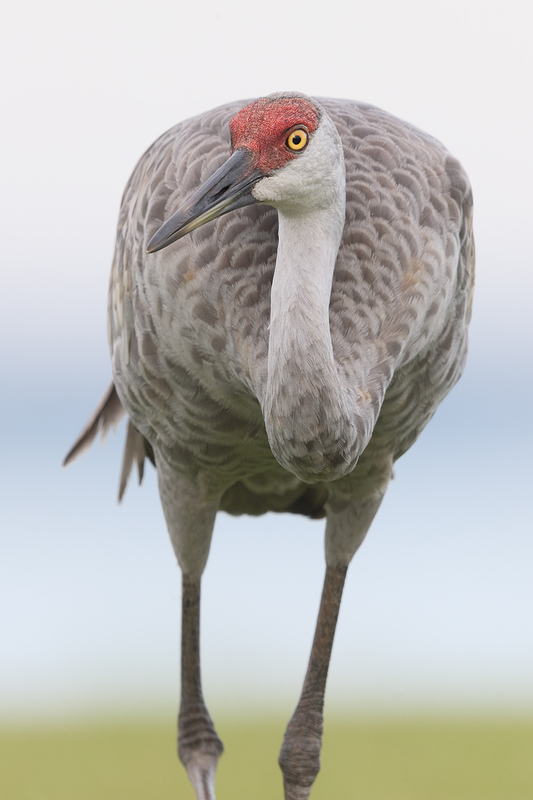 Sandhill Crane striding towards the camera. This JPEG represents the optimized image. 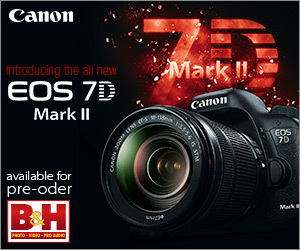 Click on the image to enlarge it and then let us know what you think of 7D Mark II image quality and color. Obviously folks attending the IPT will be out in the field early and stay late to take advantage of sunrise and sunset colors. The good news is that the days are relatively short in October. Click on the composite to enjoy a larger version. Fort DeSoto Fall IPT/October 11-13, 2014. 3 FULL DAYs: $1099. Limit 8/Openings: 5. $200 Last Minute Registration Discount! Fort DeSoto, located just south of St. Petersburg, FL, is a mecca for migrant shorebirds in fall. There they join hundreds of egrets, herons, night-herons, gulls, and terns who winter on the T-shaped peninsula that serves as their wintering grounds. 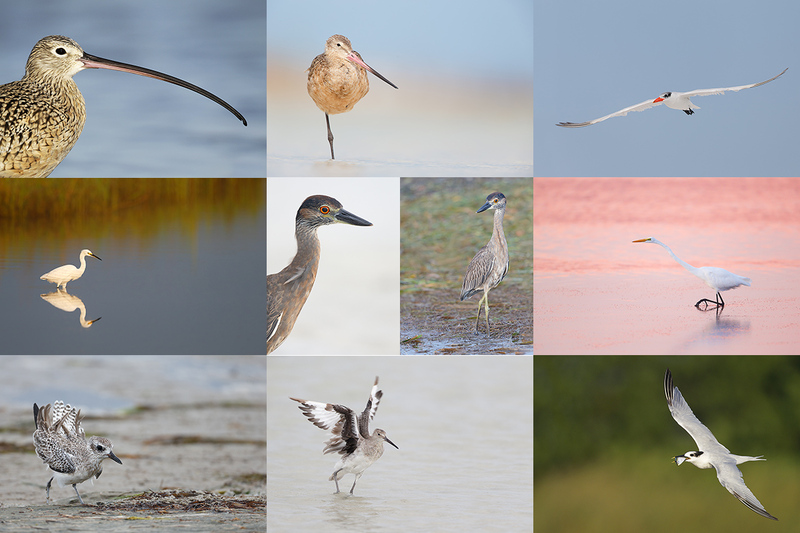 With any luck, we should get to photograph two of Florida’s most desirable shorebird species: Marbled Godwit and the spectacular Long-billed Curlew. 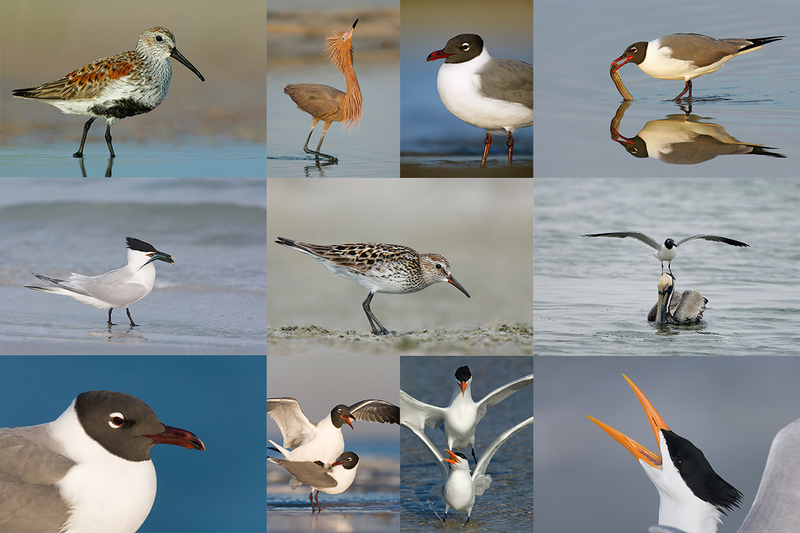 Black-bellied Plover and Willet are easy, American Oystercatcher likely. Great Egret, Snowy Egret, Great Blue Heron, and Tricolored Heron are easy as well and we will almost surely come up with a tame Yellow-crowned Night-Heron or two. We should get to do some Brown Pelican flight photography. And Royal, Sandwich, Forster’s, and Caspian Terns will likely provide us with some good flight opportunities as well. Though not guaranteed Roseate Spoonbill and Wood Stork would not be unexpected. Fort DeSoto in fall is rich with tame birds. 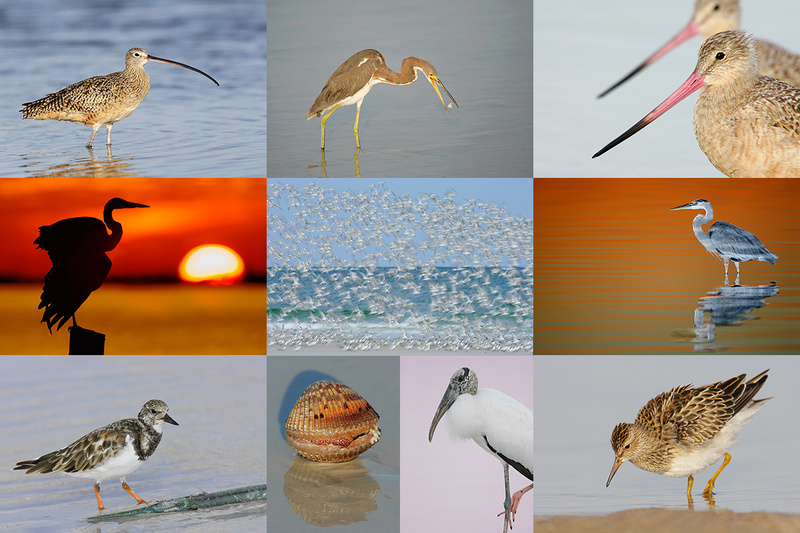 All of the images in this card were created at Fort DeSoto in either late September or early October. I hope that you can join me there this October. Click on the composite to enjoy a larger version. On the IPT you will learn basics and fine points of digital exposure and to get the right exposure every time after making a single test exposure, how to approach free and wild birds without disturbing them, to understand and predict bird behavior, to identify many species of shorebirds, to spot the good situations, to choose the best perspective, to see and understand the light, to, and to design pleasing images by mastering your camera’s AF system. And you will learn learn how and why to work in Manual mode (even if you’re scared of it). At lunch (included) we will review my images–folks learn a ton watching me edit–why keep this one and delete that one. If you opt to bring your laptop, we will take a look at five of your best images from the morning session. We will process a few of my images in Photoshop after converting them in DPP. That followed by Instructor Nap Time. If you decide to register and are traveling to attend this IPT, please make your reservations at the Beachcomber Beach Resort, 6200 Gulf Blvd, St. Petersburg (St. Pete Beach), FL 33706 (727-367-1902) as soon as possible as rooms for the weekend days are scarce: ARR: 10 OCT/DEP 14 OCT. I stayed there on my last DeSoto visit and was quite happy with it. Lodging is tough in Florida at this season…. The best airport is Tampa (TPA). It is always best if IPT folks stay in the same hotel so if you are interested it would be a good idea to register now and make your hotel reservations as well. We can, however, coordinate easily with local folks who opt to stay at home either by cell phone or e-mail. Because of the relatively late date, payment is full is due upon registration either by check or credit card. If the former, please e-mail us immediately so that we can save you a spot. If the latter, please call Jim or Jennifer during weekday business hours at 863-692-0906 with a credit card in hand to register . Your registration fee is non-refundable unless the IPT sells out with eight so please check your plans carefully before committing. You will receive a confirmation e-mail with detailed instructions, gear advice, and first morning meeting place about one month before this IPT. BAA Site Guides are the next best thing to being on an IPT. Can’t make the IPT? Get yourself a copy of the Fort DeSoto Site Guide. Learn the best spots, where to be when in what season in what weather. Learn the best wind directions for the various locations. BAA Site Guides are the next best thing to being on an IPT. You can see all of them here. Ooops, a little late to the party. As Tim said, camera shake/mirror slab – and in a lighter weight camera, lacking that big ‘ole 1-series body to help deaden vibration. I am curious as to why f8 in particular is problematic or thought to be problematic. Sorry if this has been covered already, sometimes I miss posts. The photo quality looks great, I’m excited. Thanks so much Artie! Here is what you are missing :). So, the most recent flavor of v3 DPP supports the 7DMk2 but the upcoming v4 DPP will not? That seems odd. Is Canon going to rectify that before the official release date? The ability of the smaller battery to drive the lens? Guessing, with that much magnification, even with IS camera shake may be a factor? Thanks. I’ve played around with that setup (7D) after reading from you that while regular AF doesn’t work, you can trick it by using live view. Doesn’t take much to shake the image, but I’m looking forward to seeing what I can do with this new AF. Perhaps with that much magnification, the single AF point covers too much area for precise AF placement? Thanks for your inside information and great to hear that the image quality at ISO 400 is on par with the pro bodies. For me who shoots indoor sports, it would be very interesting to know how the situation looks at ISO 3200. On my original 7D the images are on the border to unusable and higher than that is not practical. Artie, great post, thanks! Have you had time to try 7d2 f/8 autofocus? How is it compared to 5d3? Yes. I photographed a Great Egret this morning with the 600 II/2X III/7D II combo. AF performance is on a par with the 5D III in terms of speed and accuracy. Aside from the usual problems encountered when using an f/4 super-telephoto lens with a 2X III TC there is one major concern when the camera body is a 7D II. Is there an additional loss in DoF with a crop sensor body? If so, shooting at f8 already make it more difficult to isolate your subject, but if the crop sensor adds and additional apparent “stop” in DoF, most of the shot will be in focus. Crop sensor accentuates any camera shake?